Other services by this trader: FREE Computer Health Checks, Affordable Computer Repairs, New & Refurbished Computer Sales, Data Recovery Services, Laptop Repair Specialists, Computer Collection & Delivery Service. About Computer Repairs Derby: The home user and small business computer repair specialists with highly experienced technicians capable of resolving any type of PC problem. Excellent service - managed to repair a dead laptop to full working order at a very keen price. I initially thought the laptop was completely damaged beyond repair. Excellent and skilful service, managed to repair a dead laptop computer to full working order at a very keen price. I initially thought that the laptop was damaged completely beyond repair, but they managed to bring it back to full functionality. Top marks to a top company. Really pleased with the service provided and the price paid. Tablet was got working again and they also took the trouble to upgrade it to the latest spec. Would use again and recommend. Always friendly, efficient, reliable service. Good professional and personal service. Everything explained clearly with little or no jargon to this technophobe. Would recommend highly. Very helpful, even loaned me a part to get my system in operation whilst replacement parts were ordered. Used the company twice now - impressed on both occasions. Extremely helpful and quick service, solved a very stressful problem! Excellent, friendly and informative service. Resolved my problems with regard to failing Windows 10 updates. First class service, very good staff. Kept me well informed of the work being carried out. Went beyond what was required with help. Was very impressed with the cost. Good service & good communication skills. A very good company to work with. Excellent. Would use again and recommend. Friendly and helpful. Listened and offered some advice. New to Derby - didn't want to use high street firm saw ad in local magazine 'C and C of Oakwood' and in 'Trusted Trader'. 1st class service - diagnosed problem and 2 days ordered new part - replaced and returned to me in a further 2 days. Professional service, computer repaired in 3 days. Will definitely use them again if I get another problem. Issue: My computer would not start. After taking the computer to Computer Repairs they contacted me for an update within given time span, explained their finding and repaired my computer. Always friendly and courteous. When it would be so easy for someone to fob you off or charge for repairs not needed it was a relief to have confidence in a company. Very pleased with the work carried out. This company is of the highest quality! They are speedy, efficient, helpful, polite and punctual. You're kept informed and up to date, prices reasonable - they really know what's what in IT - and best of all, staffed by nice people, especially Mr Ash Ghai. I have used this business for many years for both buying new equipment, computer security and checks/updates. Although the company has new ownership in recent times the first class service has been retained. Very good service at a reasonable price. Very happy with the work done. After several not satisfactory calls to other vendors I found Computer Repairs, Derby. What a difference. They explained clearly the problems with my old laptop and associated costs. Professional advice on replacement choices with an excellent attitude. Fixed my father in law's laptop. Quoted firm price up front, kept me up to date with the fix. Quality service, have used before and would use again - recommended! Pleasant, efficient service. Faster than fast. Very kind and helpful - I had formatted my hard drive and erased everything. They recovered many important files and pictures + memories. 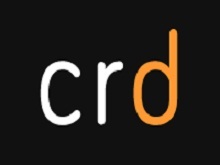 I always take my computer to CRD, they are very fair and the work is always carried out to a high standard. I always recommend them to my friends and family. Quick, efficient, friendly service. Thank you. Efficient friendly staff, good fast service & a fair price. Will use them again!